Digital media integrator, Digistor, has adopted a new branding and refreshed its website to celebrate 25 years of delivering services and solutions to the Australian market. The company’s released a new branding, new market positioning and a website that incorporates a modern 3-commerce platform. It said, in a statement, that the new branding and e-commerce solution reflects its positioning in a changing market. According to Digistor managing director, Andrew Mooney, it found its customers are increasingly turning to them for services, expertise and advice to integrate products into cohesive workflows that satisfy production goals in environments that are never the same twice. "We have moved from a supplier of products to a consultative organisation that provides integrated solutions. We needed bold and dynamic branding to reflect this evolution while making a statement to the market," he said. As such, he claimed the tweak in the company mark and the new slogan that reads “Now Create” reinforces that change. 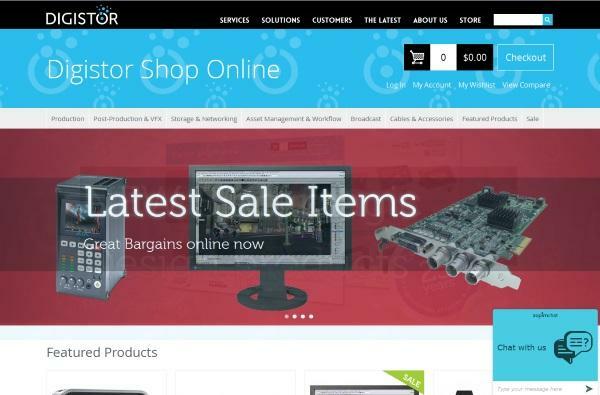 As for the new Digistor website, it provides almost 2 separate sites - the main website and the Digistor Shop Online. The new Digistor Online Store aims to provide its customers with effortless shopping for premium audio-visual, production, post-production, storage and digital media products. It is mobile responsive, includes compare, wish-list and review functionality and has a streamlined 1-step checkout. Digistor has also engaged a full-time e-Commerce sales specialist, Stephanie Hanly-Jones, to manage the e-Commerce business. Mooney added that with these developments, the company’s communicating its strengths to potential and existing customers while offering a fast transactional purchasing experience to those that need it.